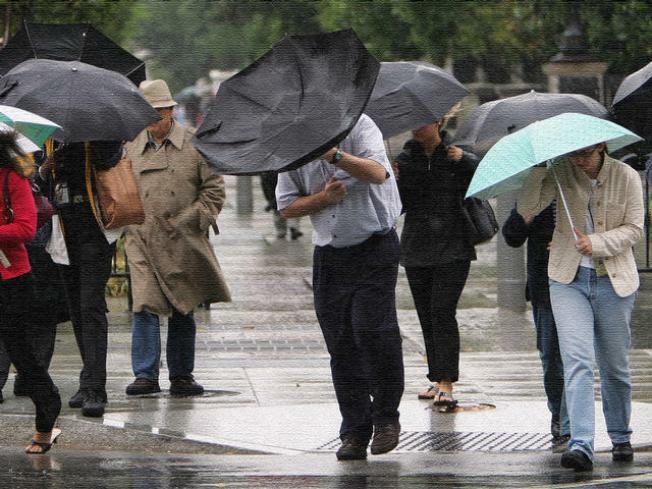 Pedestrians try to keep their umbrellas from blowing away. Get ready to pull that umbrella back out – the National Weather Service is calling for more "wet than dry" through the weekend. There are two storms are brewing off-shore. They’re not expected to be as potent as Monday's windy soaker but should still be wet enough to put a real damper on the weekend. The first storm should start dropping rain in the Bay Area by noon on Thursday. As the front moves ashore it will continue to unwind, steadily working its way toward Southern California. This process should take most of the day and we're not expecting any significant rainfall before late Thursday night or, more likely, early Friday morning in San Diego County. The current forecast is predicting anywhere from a half-inch to about three-quarters of an inch of rain along the coast and maybe twice that in the foothills and mountains. This is a warmer storm than Monday’s arctic blast, so snow is not expected in our local mountains. The moisture from this storm is coming from the South Pacific rather than Alaska. In fact the most likely scenario is that this storm will melt the snow from Monday’s dusting on Laguna and Palomar mountains, adding to the run-off and creating the possibility of some localized flooding in some of the valleys. 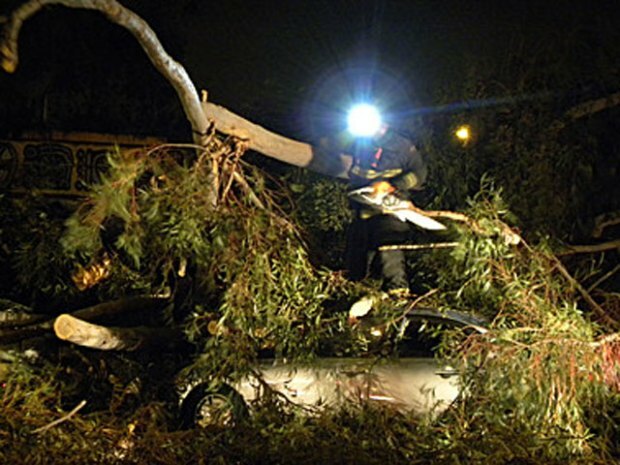 County gets cleanup window before second storm wave strikes. It’s a different story for the resorts to our north. The storm should be cold enough to actually deliver a few inches of new snow above 7,000' to both Big Bear and Wrightwood. The second storm is due sometime Saturday and while initial computer models were calling for an even weaker storm, there is now some indication it could produce, not only some heavy showers, but possibly some very strong winds as well. The National Weather Service is advising everyone to pay close attention to these changing forecasts throughout the weekend in order to be properly prepared as these storms move into the county. One thing all the computer runs are in agreement about is that next week’s weather will be a lot different - back to sunny and warm starting Monday.